Standing L-R: Matt Gitzen -mgr, _ Hild, _ McMahon, J. Vaughn. Middle Row L-R: _ Heughens, T. Vaughn, _ Gerard. 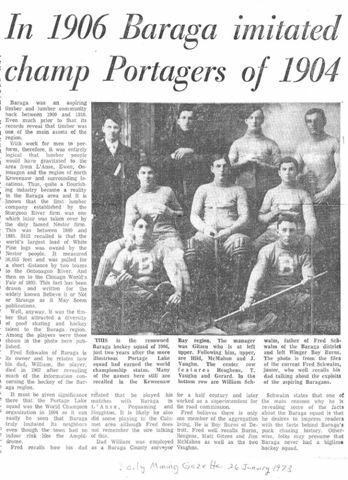 Front L-R: William Schwalm, Boy Burns. Photo provided to DMG by Fred Schwalm, Jr. Contact webmaster if you have any more info about this team. need pictures for all these 1970s teams! need pictures for all these 1980s teams! Darrin Voskuhl, Defense, selected All-LSC Elite Team. 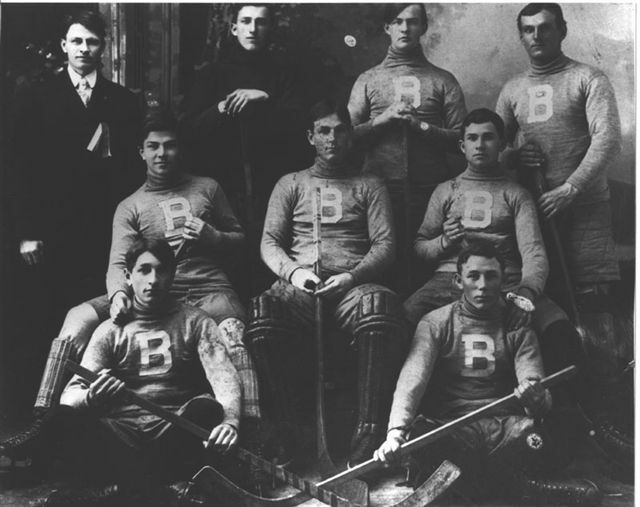 Front, L-R: Goalies Vance Tesanovich and Richard Stark. Middle L-R: Joel Stark, Tim Wadaga, Joe Patovisti, Sean Richard and Joe Klobucher. Back L-R: Head Coach Bill Rosseau, John Michels, Max Miron, Brian Hill, Brett Degenaer, Mike Denomie, Chris Boever, Kyle Isaacson and Assistant Coach Buddy Sweeney. Missing from photo is Robert Usitalo. Front L-R: Max Speissel, Michael Turunen, Derek Meleen, Jason Rank and Devin Bowers. 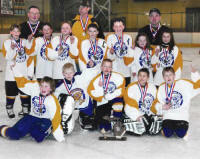 Middle L-R: Casey Richard, Alec Bowers, Cody Goldsworthy, Carter Hendricks, Tyler Froberg, Sarah Cerne and Alexis Reilley. Back L-R: Tom Froberg, Jeff Rank and P.J. LeClaire. 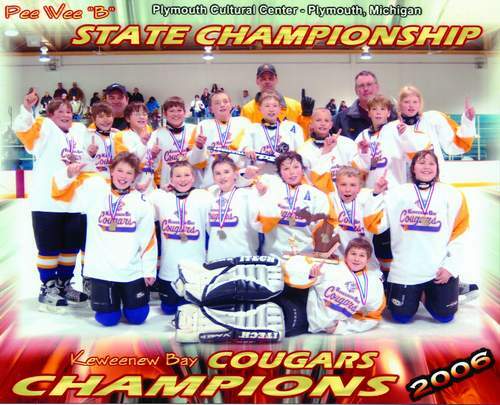 Middle Row L-R: Joe Richard, Charlie Beer, Carter Hendricks, Josh Borgen, Dylan Hemmila and Dallas Maki. Back Row L-R: Alec Bowers, Joel Maki, Scott Gerzetich, Justin Clisch, Tyler Froberg, Alex VanWagner, Derek Meleen, Casey Richard and Paige Webb. Coaches in back are PJ LeClaire, Jeff Rank and Tom Froberg. Photo courtesy of L'Anse Sentinel. 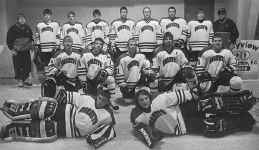 Contact webmaster if you have pictures of other Baraga County Hockey Teams, including pictures of all the High School Teams!